New year, new reading challenge. 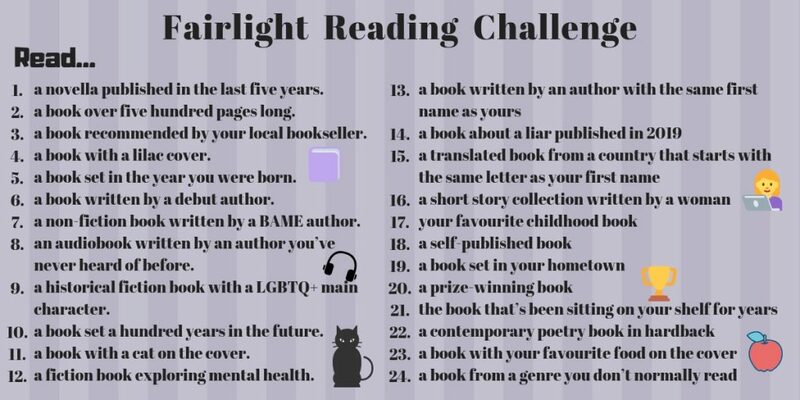 This year we’ve come up with our very own Fairlight Reading Challenge designed to push you beyond your bookish comfort zones. 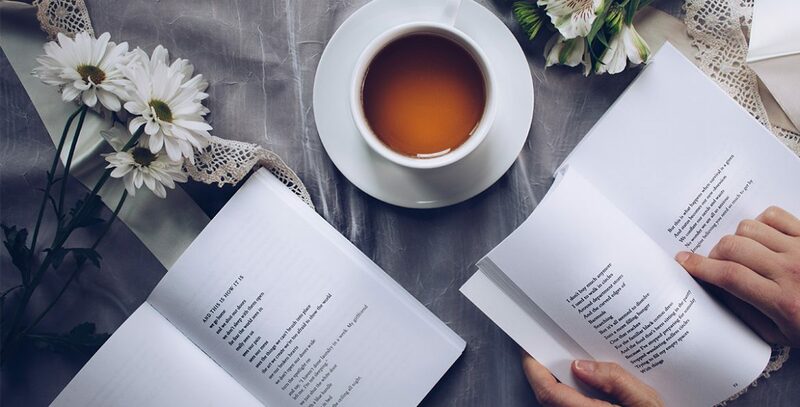 Use this unique reading list to introduce yourself to new authors, explore new formats and read something you’ve never tried before. Which will be your favourite? 1. Read a novella published in the last five years. 2. Read a book over five hundred pages long. 3. Read a book recommended by your local bookseller. 4. Read a book with a lilac cover. 5. Read a book set in the year you were born. 6. Read a book written by a debut author. 7. Read a non-fiction book written by a BAME author. 8. Listen to an audiobook written by an author you’ve never heard of before. 9. Read a historical fiction book with a LGBTQ+ main character. 10. Read a book set a hundred years in the future. 11. Read a book with a cat on the cover. 12. Read a fiction book exploring mental health. Want a bit more of a challenge? 13. Read a book written by an author with the same first name as yours. 14. Read a book about a liar published in 2019. 15. Read a translated book from a country that starts with the same letter as your first name. 16. Read a short story collection written by a woman. 17. Re-read your favourite childhood book. 18. Read a self-published book. 19. Read a book set in your hometown. 20. Read a prize-winning book. 21. Read the book that’s been sitting on your shelf for years (you know which one). 22. Read a contemporary poetry book in hardback. 23. Read a book with your favourite food on the cover. 24. Read a book from a genre you don’t normally read. If you need any inspiration check out our long fiction page to get you started! Be sure to tweet or post your progress and tag us @FairlightBooks on Twitter, Facebook or Instagram.